CHAPTER 7: If you qualify, you pay only $425 up-front, which includes the court costs, in order to get your bankruptcy filed. 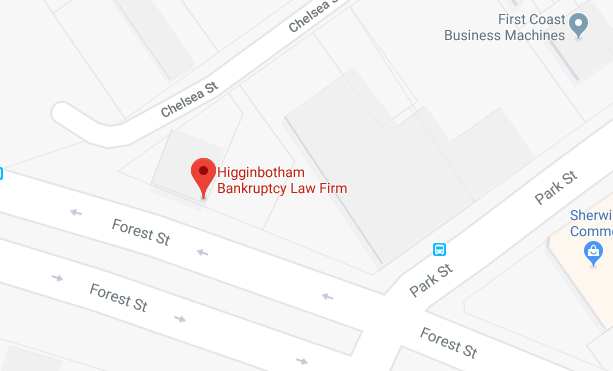 The remaining attorney fee is $1500 and is paid after the bankruptcy is filed by automatic debits from your checking account in 5 monthly payments of $300 each. The attorney fee quoted is for a routine, uncontested bankruptcy, which the vast majority of bankruptcies are. In order to qualify to pay for your bankruptcy by installment payments, you will need to provide proof of employment or other regular income such as Social Security or a pension; a copy of your most recent monthly bank statement; and a voided check to your checking account. Your Chapter 13 payments will be made by payroll-deduction from your paychecks. You will need to provide proof of employment. If you are self-employed or living on a fixed income such as Social Security or a pension; or if you have no income of your own and rely on a non-filing spouse or other person for your support; or if you are employed but do not wish your Chapter 13 payments to be payroll-deducted, then a small retainer for the attorney fee will be required in addition to the $400 court costs in order to have your bankruptcy filed.